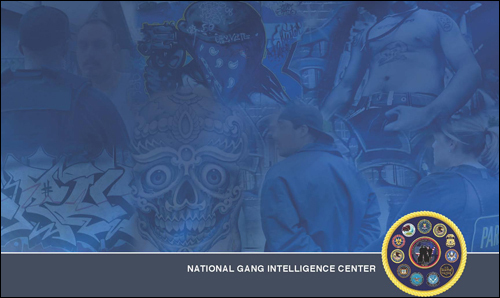 Gangs across the U.S. are continuing to expand, with some even moving into white collar crimes like mortgage fraud and counterfeiting, alien smuggling and human trafficking, according to the 2011 National Gang Threat Assessment released by the National Gang Intelligence Center (NGIC), the FBI said. “Gangs continue to expand, evolve, and become more violent. The FBI, along with its federal, state, local, and tribal law enforcement partners, strives to disrupt and prevent their criminal activities and seek justice for innocent victims of their crimes,” Assistant Director Kevin Perkins of the FBI Criminal Investigative Division said in a statement. The gang report revealed that approximately 1.4 million gang members belonging to more than 33,000 gangs were criminally active in the U.S. as of April, 2011. The report said gangs have been encouraging members, associates, and relatives to obtain law enforcement, judiciary, or legal employment to gather information on rival gangs and law enforcement operations. The report said gang infiltration of the military continues to pose a significant criminal threat. Gang members who learn advanced weaponry and combat techniques in the military are at risk of employing these skills on the street when they return to their communities, the report said. The report said that gang membership increased most significantly in the Northeast and Southeast regions, although the West and Great Lakes regions boast the highest number of gang members. Neighborhood-based gangs, hybrid gang members, and national-level gangs such as the Sureños are rapidly expanding in many jurisdictions. Many communities are also experiencing an increase in ethnic-based gangs such as African, Asian, Caribbean, and Eurasian gangs. Posted: 10/24/11 at 9:26 AM under FBI, News Story.